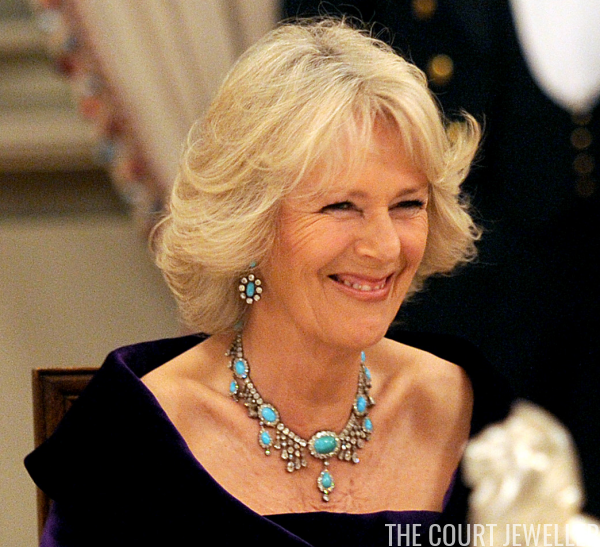 July 2017 gave us an incredible bumper crop of royal jewelry, so today, I'm doing a recap post to ensure that you didn't miss a single sparkly thing! If you followed along diligently this month, here's a chance to sigh over the jewels all over again. Which jewels were your favorites this July? We started the month following the Prince of Wales and the Duchess of Cornwall on a tour of Canada. 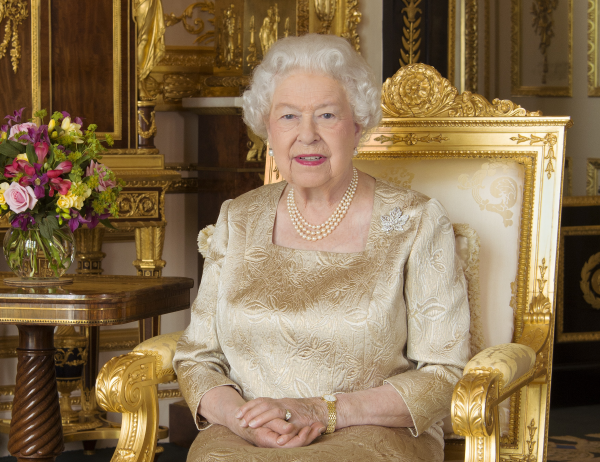 As Canada is celebrating the 150th anniversary of its confederation, Canadian-related events continued throughout July, culminating with the presentation of the brand-new Sapphire Jubilee Snowflake Brooch to Queen Elizabeth II. To celebrate Independence Day in my home country of America, we mapped out three royal diadems that now live in the United States. It's essential info to help you plan your next American road trip! Our attentions turned next to Germany, where Ernst August, Prince of Hanover married his girlfriend, Ekaterina Malysheva, in a glittering almost-royal wedding. 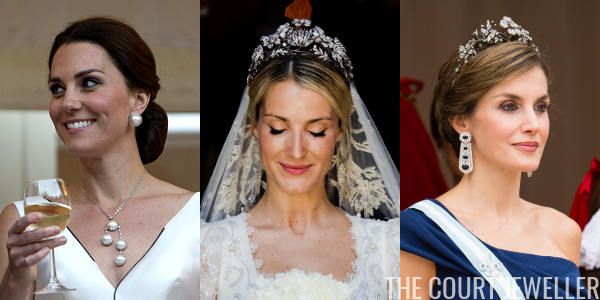 We got to see lots of the groom's royal relatives in attendance, but most importantly, we got to see the reappearance of a tiara that we hadn't seen in more than a decade! The Spanish state visit to the United Kingdom was perhaps the highlight of the entire month. 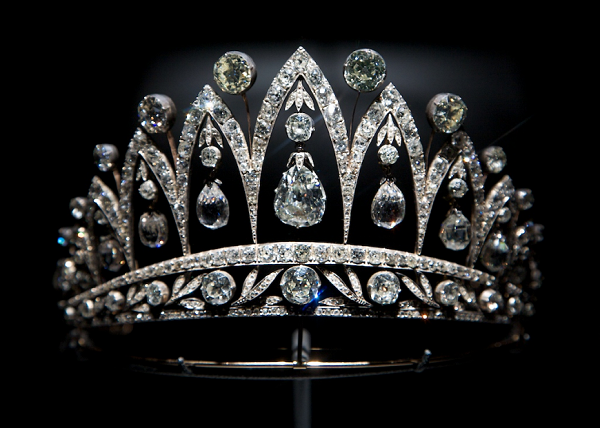 We prepared with a countdown of ten amazing Spanish tiaras and a survey of the family's joyas de pasar collection. 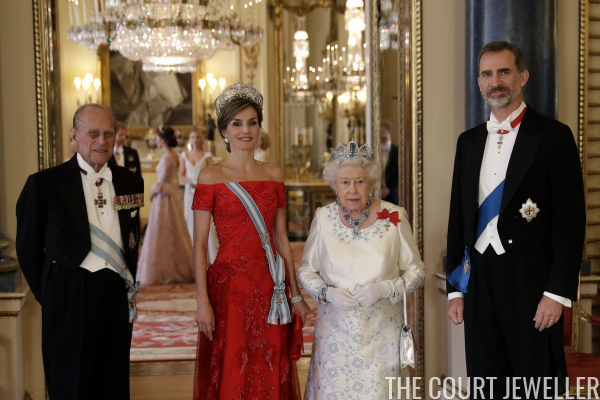 And then, we marveled at the jewels worn by both the Spanish and British royals during the visit, especially at the state banquet and the Guildhall dinner. Magnifico! 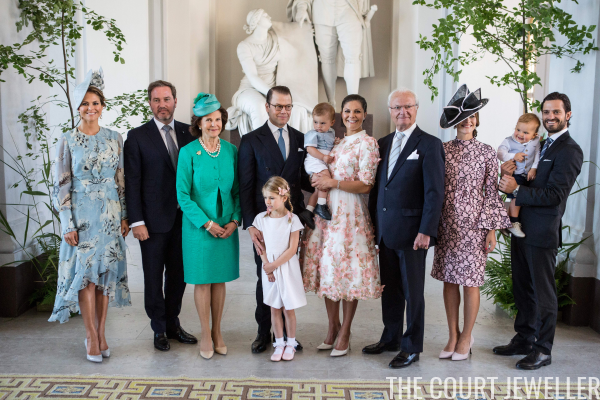 We marked the 40th birthday of Crown Princess Victoria of Sweden with a week's worth of Daily Diadem posts and the story of one of her favorite tiaras, plus an overview of the jewels worn at the Te Deum service held in her honor. Our Instagram account was also brimming with additional images from Victoria's birthday weekend! Victoria wasn't the only royal celebrating a milestone birthday this month: the Duchess of Cornwall turned 70! We marked the occasion with a Top Ten countdown of her very best jewels. It's a good one! 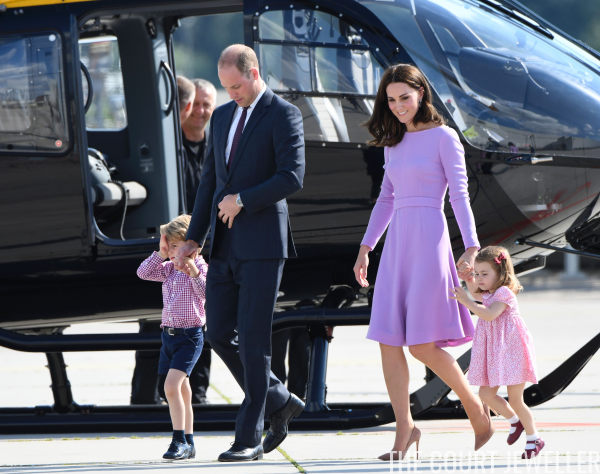 When the Duke and Duchess of Cambridge headed out for a tour of Poland and Germany, we followed along, tracking Kate's jewels throughout the trip. Highlights included a new suite of jewels set with red gemstones, a new Kiki necklace, and the surprise appearance of a pearl bracelet from the collection of Diana, Princess of Wales. The Cambridges also arrived in Belgium yesterday for the Passchendaele commemorations, which continue today. 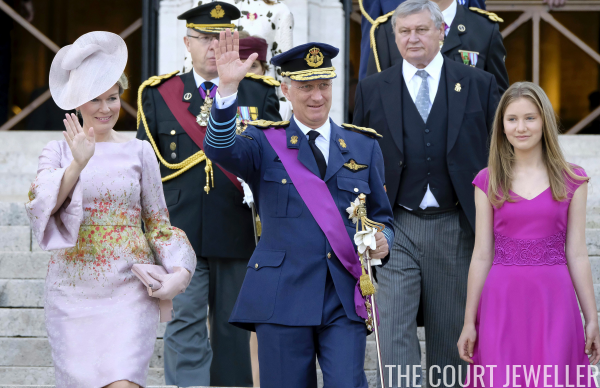 In Belgium, National Day brought us a fairly small jewelry haul this year, but we supplemented with a look at the glittering Cartier tiara once worn by the country's queen. We've also been watching the jewels of the Passchendaele commemorations in Ypres, which began yesterday and continue today. News of a major Hollywood jewelry sale also came this month. 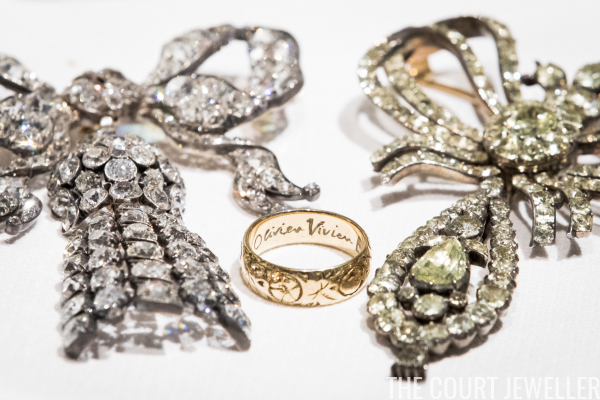 We peeked inside the Sotheby's preview of Vivien Leigh's jewels, which will be sold this September. Additional portraits of the famed British actress were also all over our Instagram account! And finally, with the 20th anniversary of the death of Diana, Princess of Wales on the horizon, we chose to celebrate her glittering life instead, with a series of posts about her jewels. 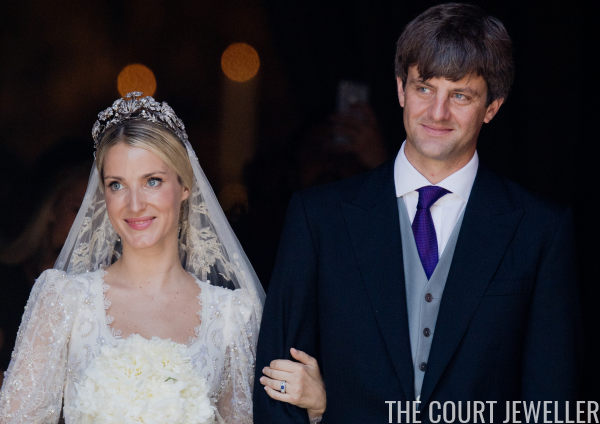 Highlights included her wedding jewels, the jewels she wore to dance in, and her classic appearances in Queen Mary's Lover's Knot Tiara. Oh -- and we learned how to tell the Cambridge Lover's Knot from Queen Mary's Lover's Knot, too! Stay tuned for even more July jewels this week, including Charlene's Red Cross Gala accessories (currently up on Instagram!) and more from the Passchendaele commemorations. Which royal jewels were your highlights in July?